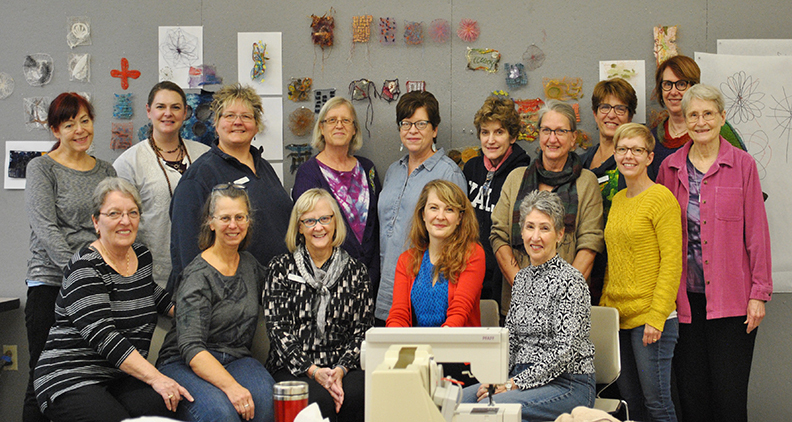 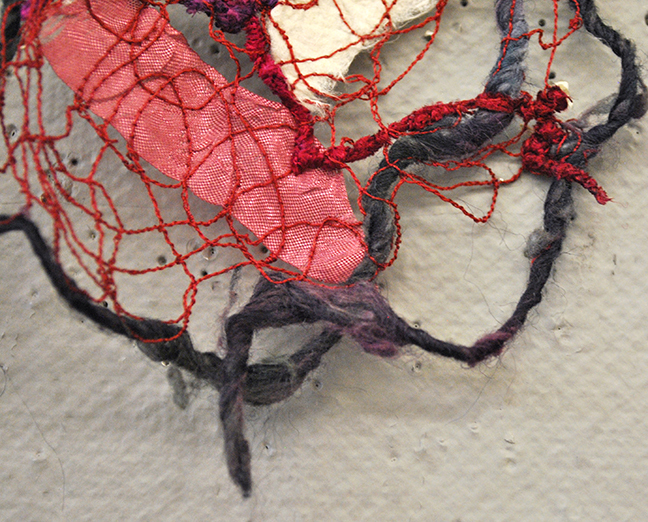 This past week, I flew to St. Louis, Missouri for a workshop with the Missouri Fiber Artists Group. 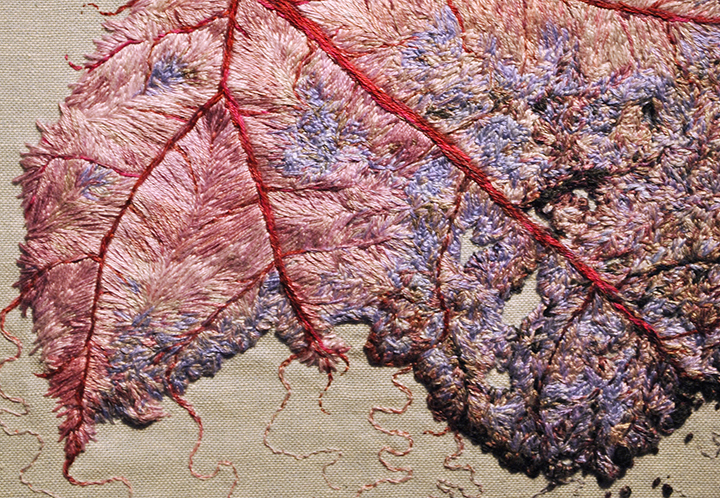 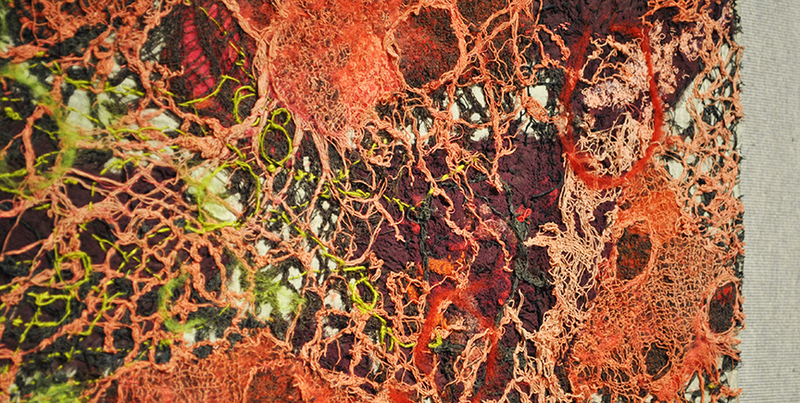 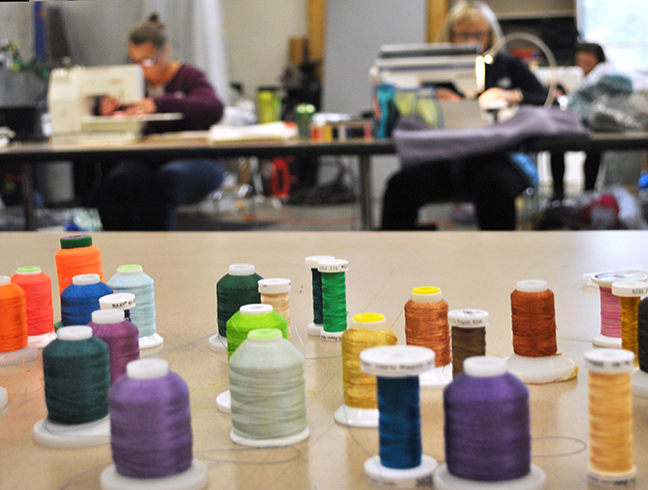 This group includes makers, creators and artists whose work primarily features natural or synthetic fibers, including textiles, fabrics, paper, reed, yarn, thread, and more. 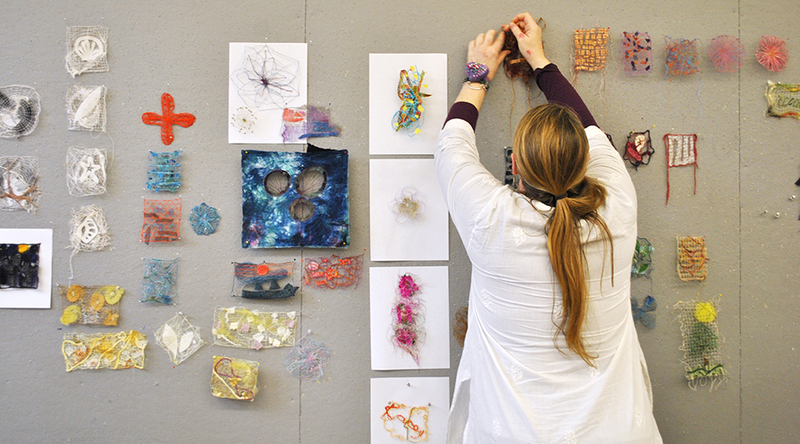 We had a fansastic two day workshop where we explored the use of water soluble stabilizer with machine stitching to create experimental works around the theme of landscape and environment. 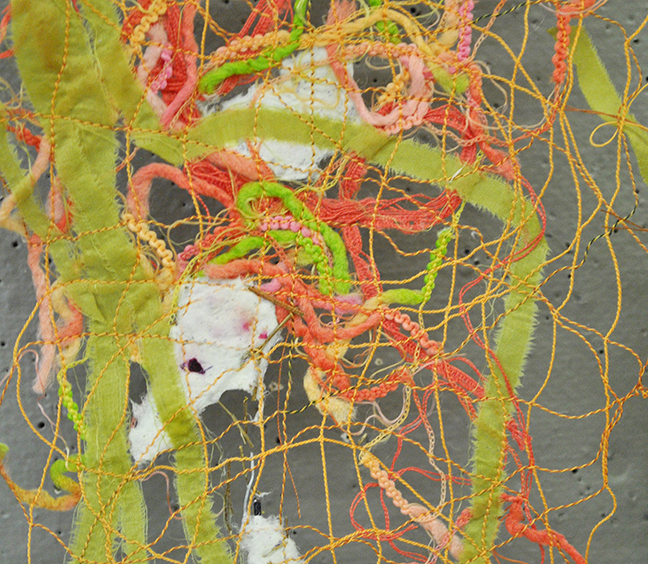 Another aspect of this trip was giving out awards for the “Speaking of Fibers” Exhibition of members work that I had juried. 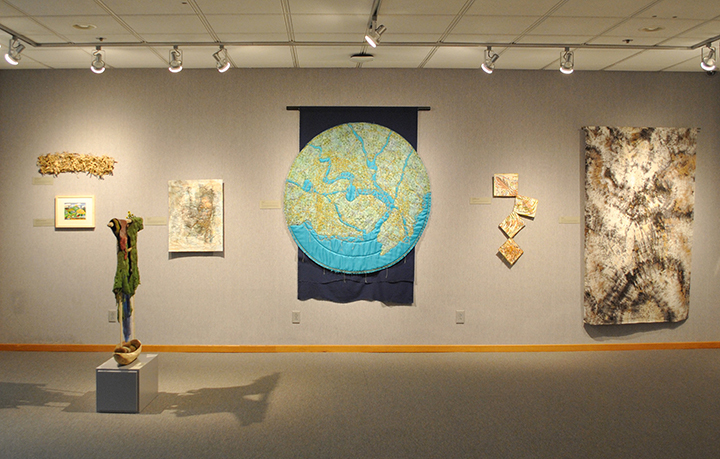 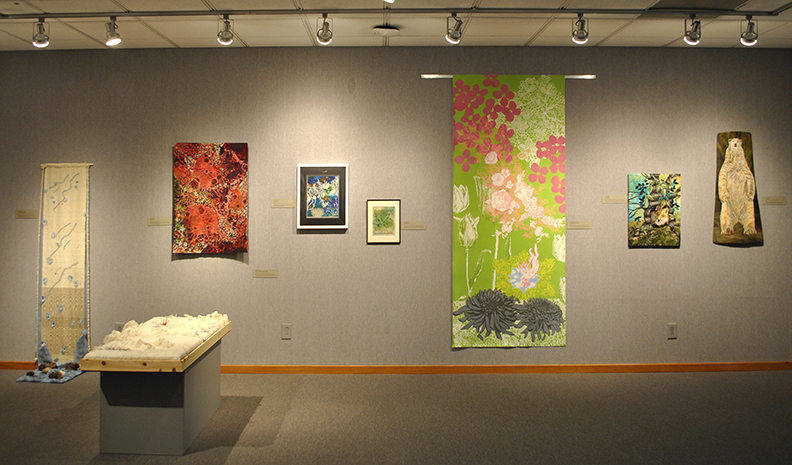 This exhibition featured a variety of pieces around the theme of “An Altered Environment”. 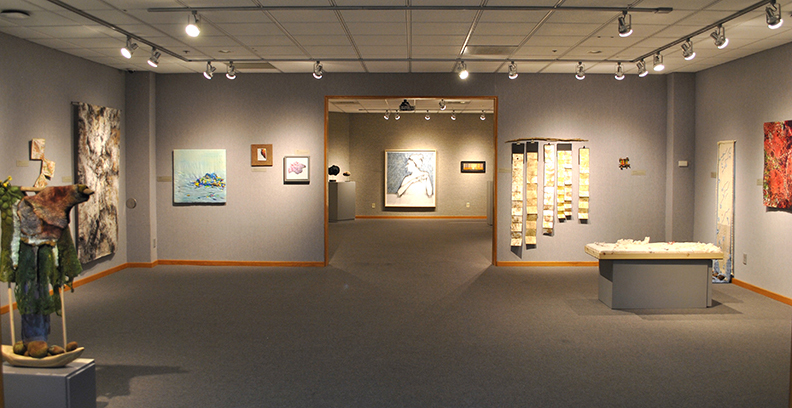 The opening reception for this exhibit happened on November 9th, with the show continuing through December 15th. 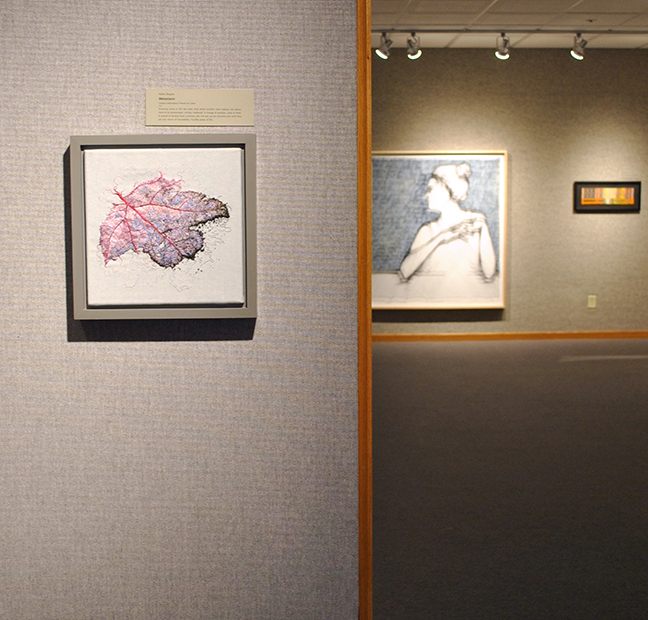 The exhibit will be hosted at the Morton D. May Gallery at Maryville University in St. Louis, MO.